A long time ago (2003 to be precise), those clever fellows at UEFA put together a set of guidelines to improve the accessibility of football stadiums for disabled supporters. These guidelines became a document called Accessible Stadia, published over here by the charity Level Playing Field and endorsed and supported by none other than the FA and the Premier League – in other words the clubs. If the clubs had followed the guidelines, disabled people would have had over 10 blissful, hassle-free and inclusive years of watching football by now. Sadly they didn’t – so they haven’t. 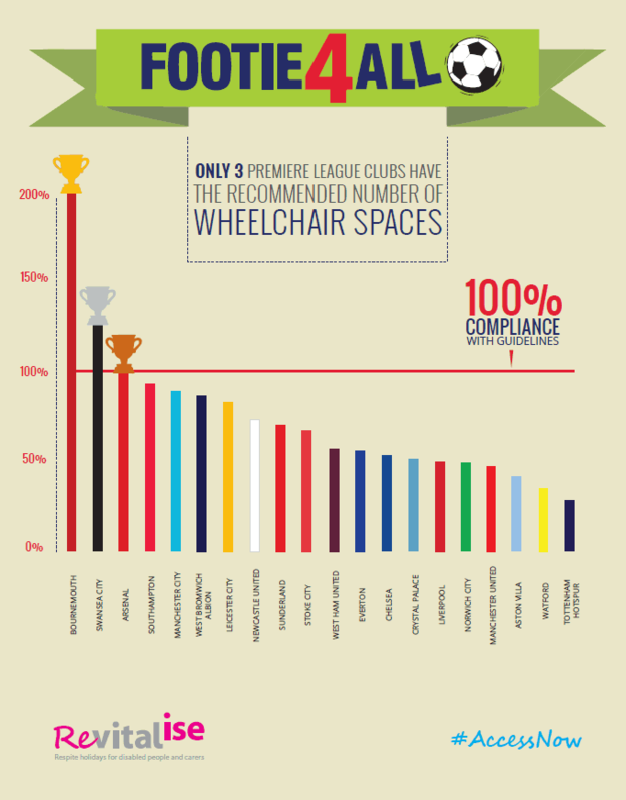 Revitalise delved a little deeper into this topic and came up with an accessibility ranking for each club, based on how well they support disabled fans in a variety of ways that matter, from accessible toilets to staff awareness to parking. The results make for depressing reading. While some clubs are working hard to improve the match-day experience for their disabled fans, many others clearly don’t regard accessibility as any kind of priority. 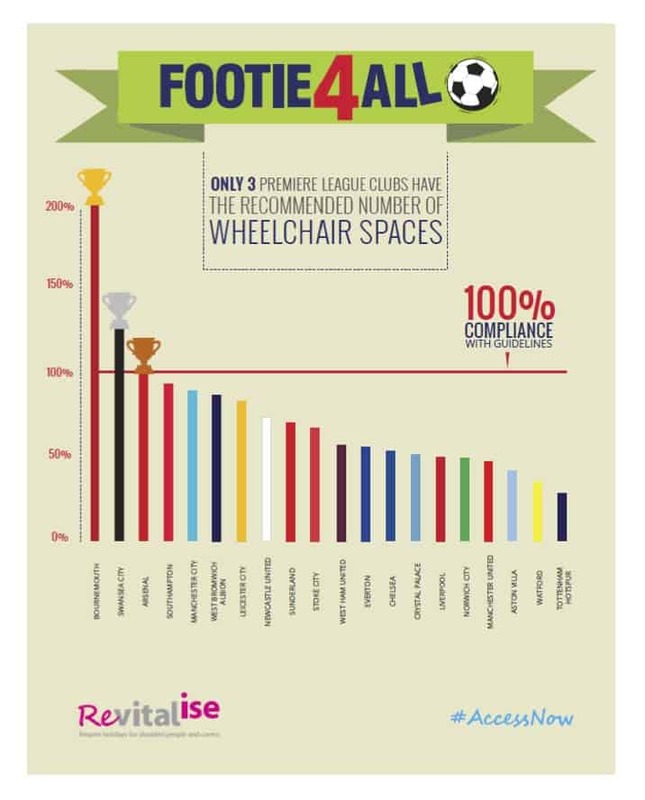 What else could explain the fact that Premiership heavyweights Manchester United, Chelsea and Liverpool – three of the world’s top 10 richest clubs – find themselves languishing in the bottom half of our table, with woefully low numbers of wheelchair spaces? Well, don’t care was made to care, as my aunt used to say, and it seems everyone’s patience has run out. If the Premiership clubs won’t make the changes voluntarily – and don’t forget they signed up to them in the first place (?!) – then maybe it’s time to bring out the big stick. And that’s precisely what’s happening. There is a bill now being debated in the House of Lords, which, if passed, will compel the clubs to make the improvements required or risk losing their license – ie no stadium… Let’s see if they drag their feet then! In my view it would be a shame if this came to pass. Nobody likes having to resort to the law where persuasion has failed. But they’ve brought it on themselves. This issue is too important and has been going on too long to ignore any further.